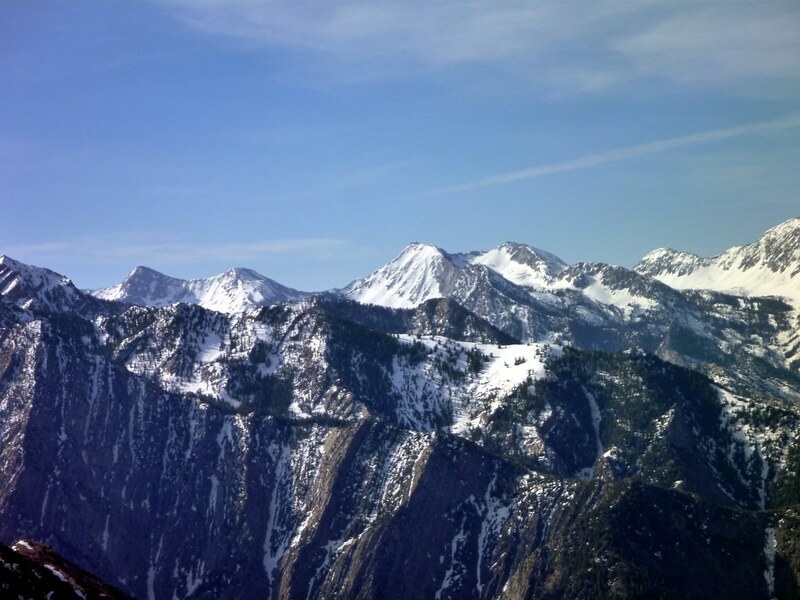 Having only climbed 2,200′ of a planned 3,700′ yesterday in the aborted attempt on Pfeifferhorn, my legs had enough left for another hike this weekend: Mt. Olympus. 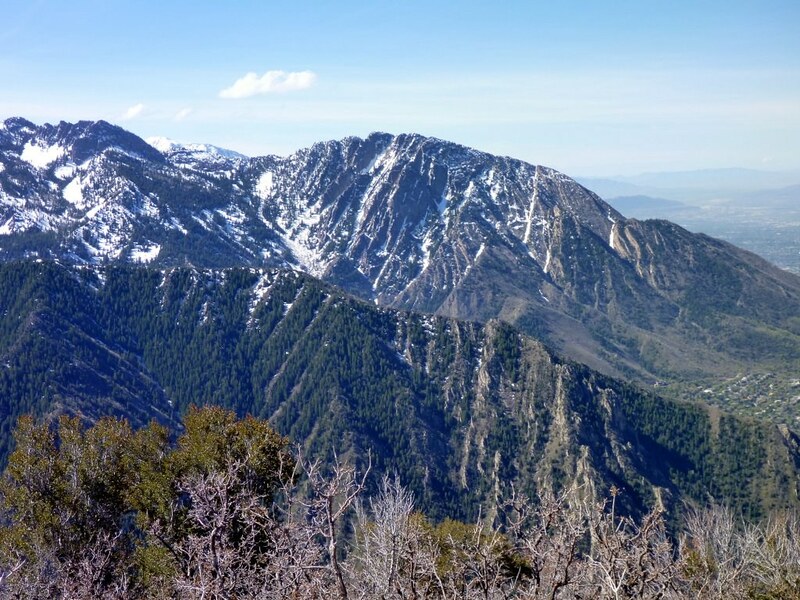 The hike is 4,200′ of elevation gain with a short Class 3 scramble at the top. 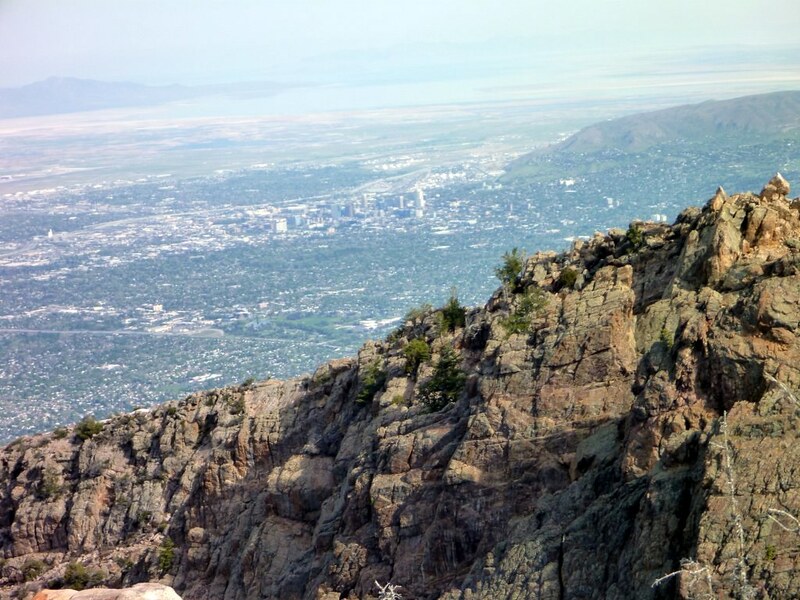 It forms the Western terminus of Wildcat Ridge and looks directly out over all of the Salt Lake Valley. 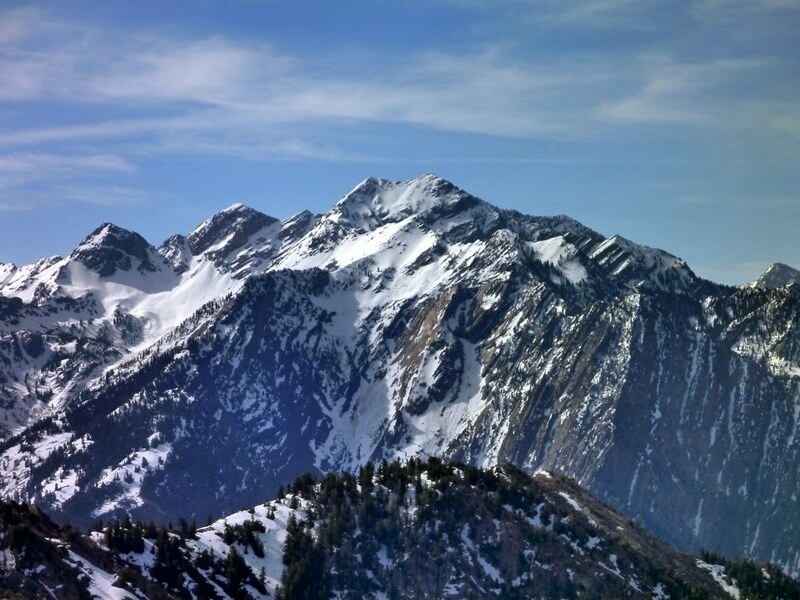 It is the most prominent peak visible from Salt Lake City. I set off, solo, from the Mt. Olympus trailhead at 6:45 in order to beat the rush and avoid the afternoon heat (forecasts called for unseasonably warm weather this weekend). 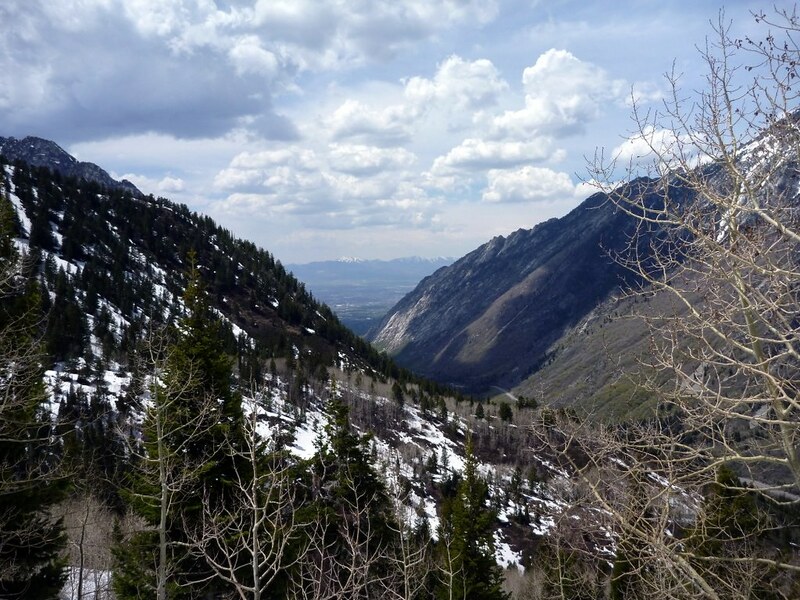 The first part of the hike was unremarkable; some good views but the switchbacks kept the vertical rise fairly gradual. 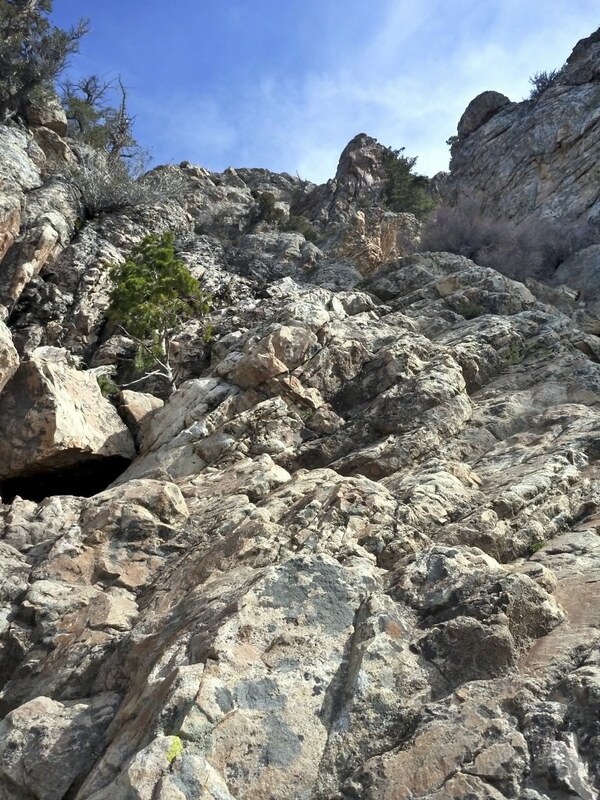 The trail is fairly rocky, which provides good tread for steeper sections. 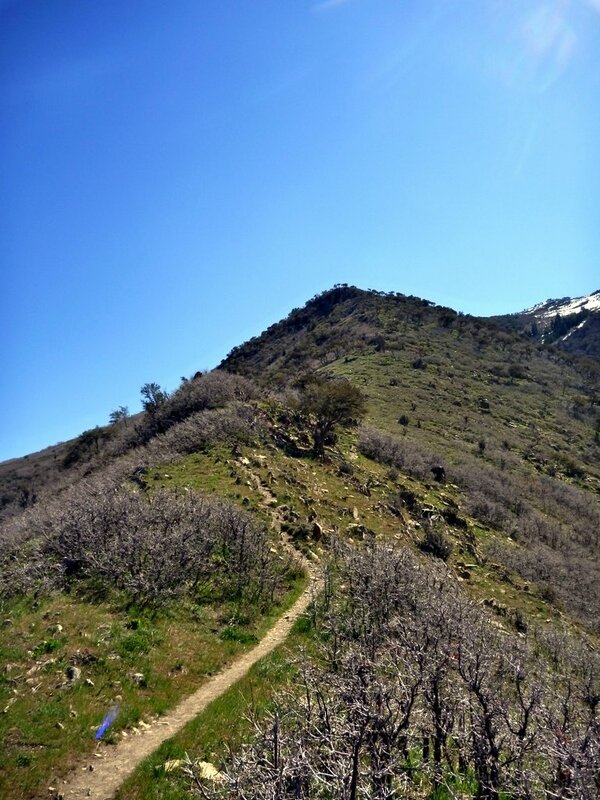 The trail above Blister Hill was covered with mud and running water – I elected to use trekking poles here to make my ascent more efficient. 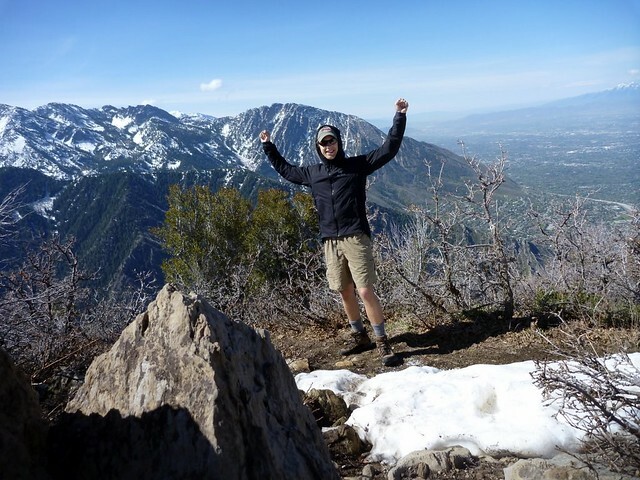 I reached the saddle about 1:45′ after leaving the trailhead. 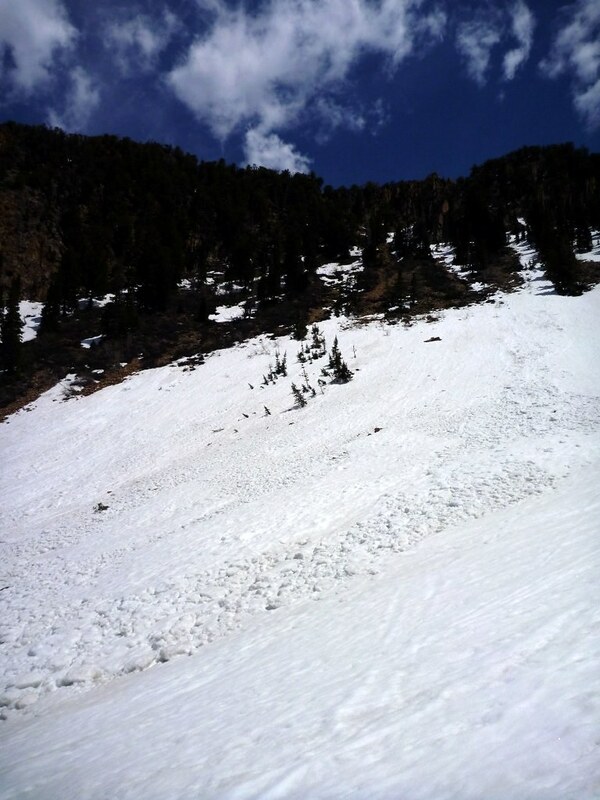 There was some rapidly melting snow at the saddle but it will be gone in a week or two. I got a bit off route in the middle of the scramble, which was problematic due to moisture from melting snow above making the rock very slick. I had to be very deliberate to get myself out of a particularly steep section, but I made it to the top and had the summit to myself! I enjoyed my typical mountain breakfast of a bagel with nutella and peanut butter. There was some snow on the summit but plenty of dry rock to sit on. 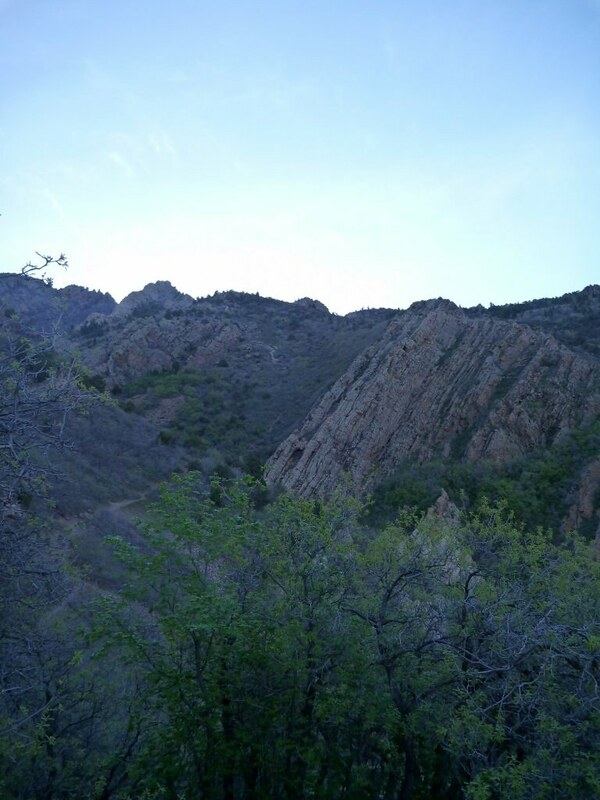 On the descent, I made sure to look for a less steep route to descent the slick quartzite. I also made sure to dry my boots whenever possible in the dust to get better grip. It was much easier on the way down. I ran into dozens of people with zero water on the way down and was glad to have started so early because it was getting HOT. I basically ran down the rest of the mountain because I was tired of being in the heat and I wanted to break 4:00′ trip (barely made it). And then drove 15 minutes to my house. 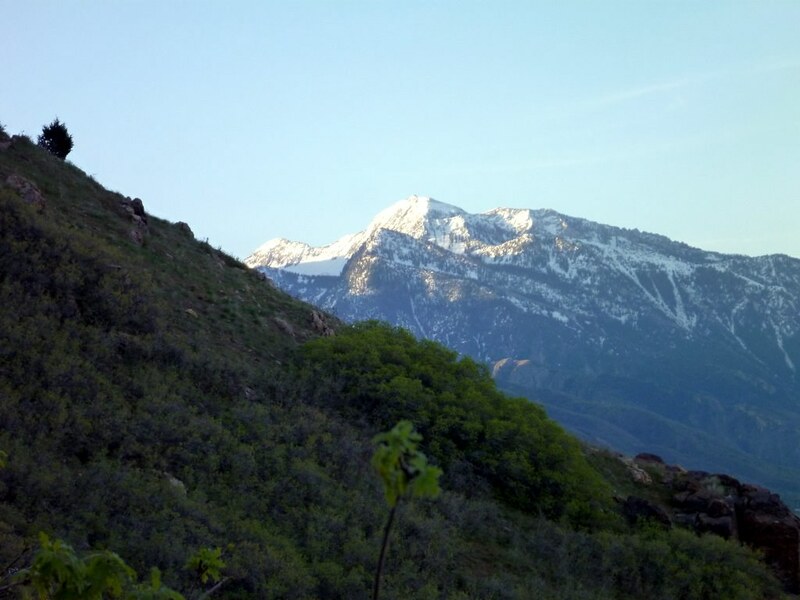 I love Utah. Lower trail. Would not want to do this at mid day in the summer. 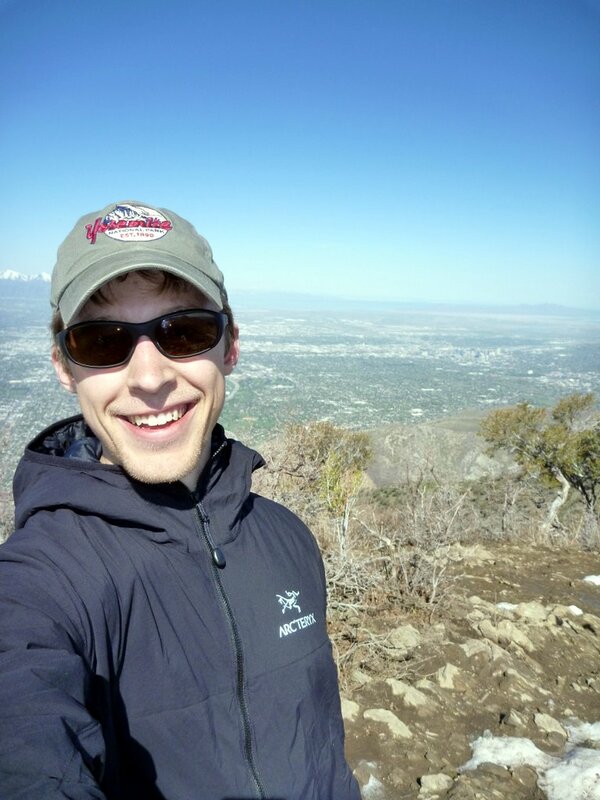 My first full day in town, I made a quick run up Grandeur Peak, which is located less than 15 minutes from downtown SLC. 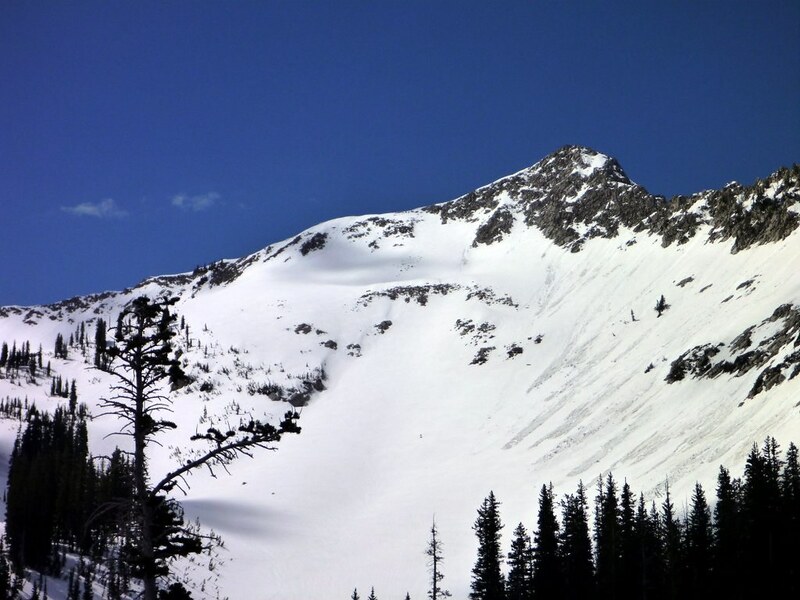 It’s the first peak on the Mill Creek Ridge. I took the West Slopes route. 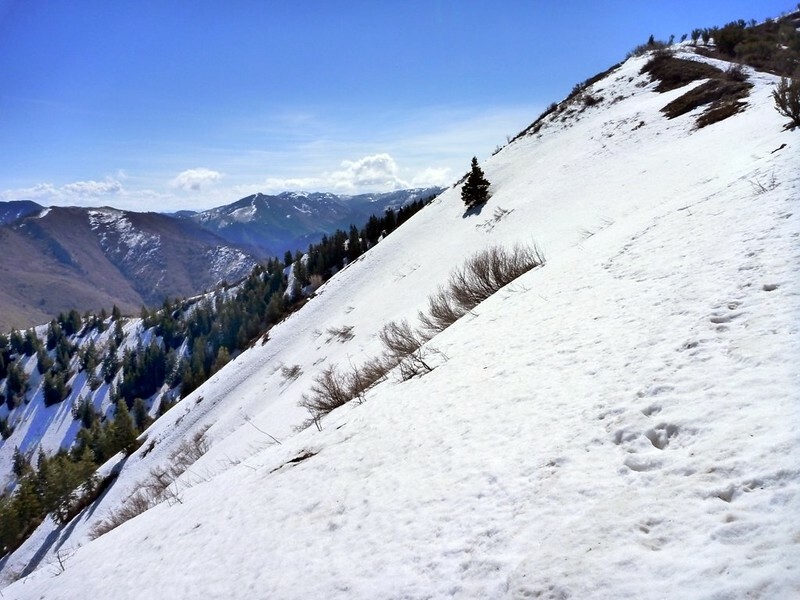 It is steep, gaining more than 3,200 feet in less than 3 miles. 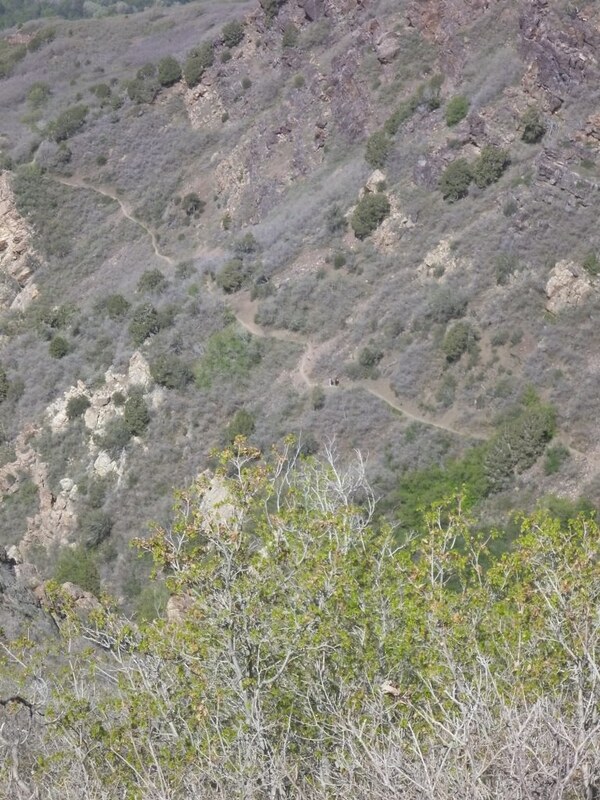 The lower part of the trail is extremely steep and fairly loose for a heavily-used trail. 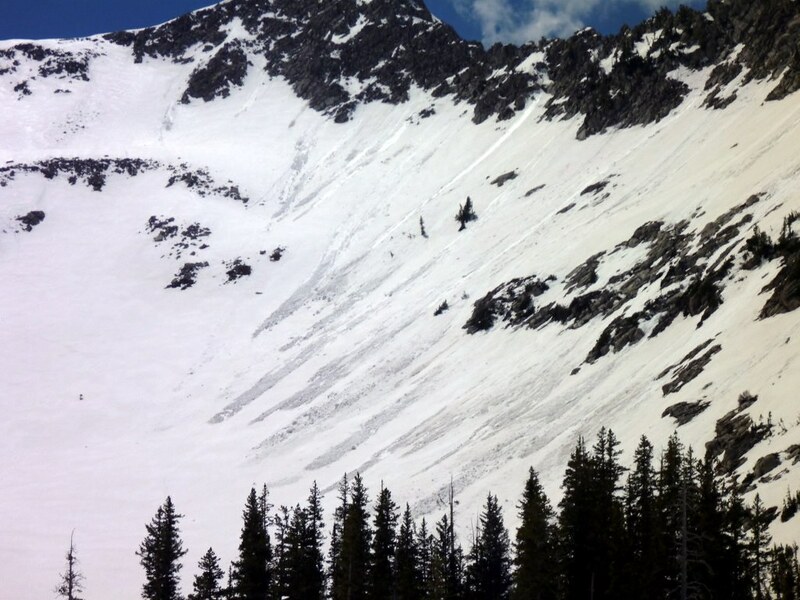 It basically directly ascends the main West ridge with very few switchbacks. Higher on the mountain, the terrain becomes rockier which actually helped with footing. Some snow was present high on the mountain. It was a bit windy at the top but nothing too unusual for an exposed ridge. The sun made it very comfortable. The view of the city and the lake was quite amazing for a peak so accessible. It took me 1:30′ ascending and another 40′ to descend. 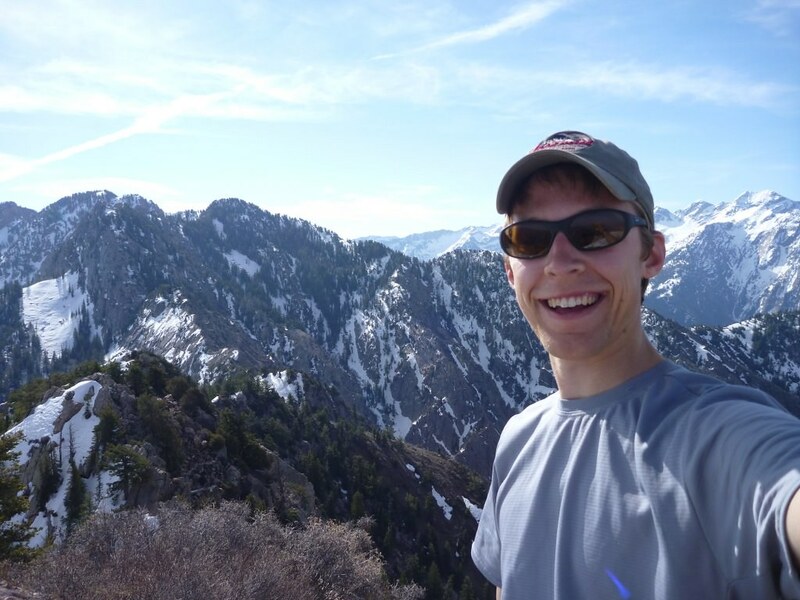 My name is Ben and I’m a master’s student at the University of Michigan. 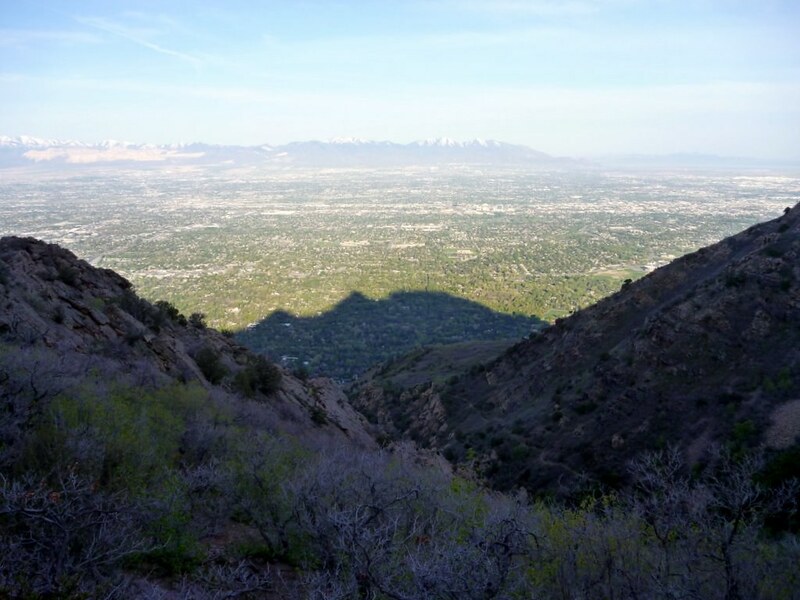 This summer, I’ve temporarily relocated to Salt Lake City, Utah for an internship opportunity. I’ll be here until mid-August, and this blog is an attempt to capture and share my summer experiences. 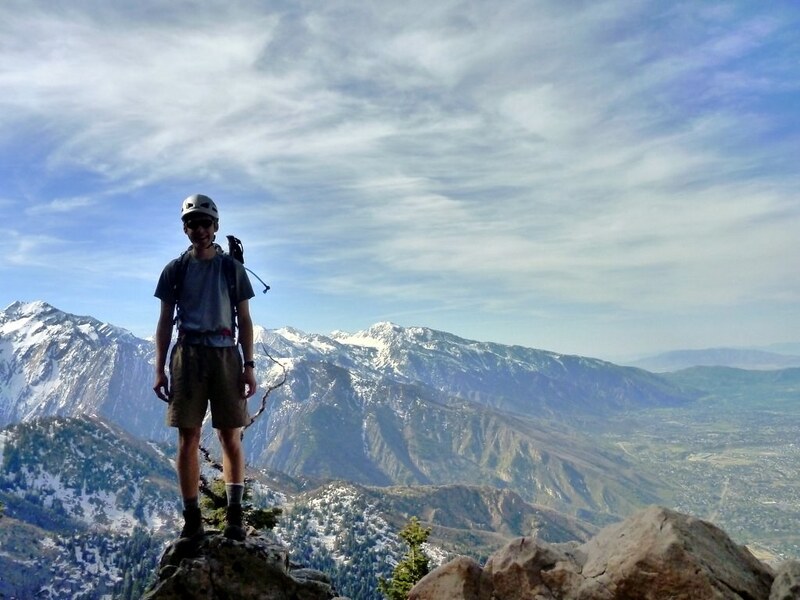 I used to really enjoy sharing my outdoor photos and stories on local outdoor communities (nwhikers being particularly excellent last summer), but there isn’t one central forum for hiking and climbing trip reports in Utah. 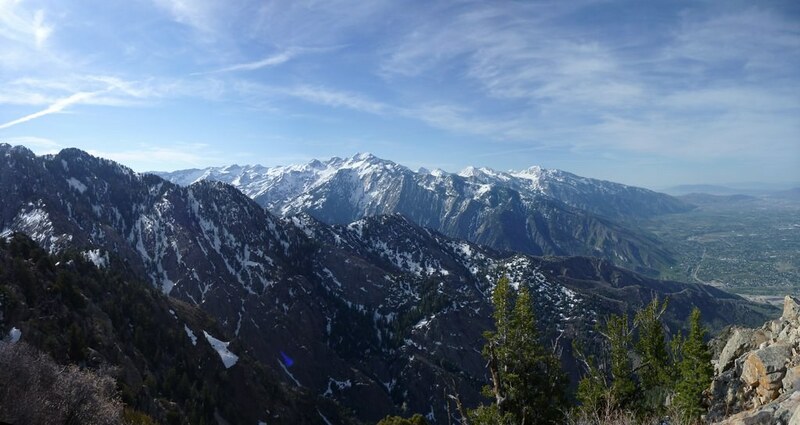 Many of the entries on this site will consist of photos and narratives from outdoor adventures in the local Wasatch range and beyond.